Summary: This article demonstrates the importance of “about us” pages on law firm websites. Law firms, websites and the internet have formed an inseparable bond since the advent of the internet itself. While the internet and web content represents invaluable tools for all businesses, they are particularly important to law firms. Is your website all that it’s cracked up to be? This is particularly important for the tell-all page that reveals the true nature of your law firm; the “about us” page. In this article, you will learn the significance of having strong, straightforward yet compassionate content that can speak to clients on the about us page. These days it seems as if the merits of a good and not-so-good website increasingly depend upon the “about us” page. The about us page describes the author or authors behind the website as well as gives a mission statement as to why you should be reading this and other pages of the website in the first place. Comprising no more than two or three paragraphs, the intent of a website’s about us page is to offer substance through brevity; that is clear and concise writing that openly spells out what a company or individual does. Simply put, an about us page is your own billboard designed to get and keep internet users interested in what you do on and offline. Law firms that use their in-house or remote marketing divisions to project their image to the public at large have long been familiar with the advantages of having a solid website presence, particularly when it comes to their about us page. They understand that potential clients want to “cut to the chase.” They don’t care as much about past cases and attorney profiles. If they are the prestigious Big Law firm that they tout themselves to be, then good representation that wins cases should be part-and-parcel of how this firm operates. How long the firm has been in business. Where the firm is located. If their (the potential client’s) legal issue is within an area that the firm practices. The number of attorneys who work for the firm. The law firm’s win ratio or track record. What makes up a good about us page? While many law firms display a website with an about us page similar to the one described above, other firms still choose to not regard their about us pages as highly as they should. In all seriousness, this is ridiculous and can nearly guarantee those law firms will not be around much longer, especially if they depend on web traffic for new and existing business. Yes, that may sound harsh and dramatic, but honestly, when thinking like a client, would you work with a law firm who you cannot locate online while doing your legal research? Of course you wouldn’t. About us pages on websites offer an entity – not just a legal entity – but any business and/or individual, a chance to shine. One is given the ability to show off a little bit. The about us page is a descriptor as well as a motivator. It should both influence and convince viewers to investigate the website further, and after that, hopefully, bring their business to the firm. In fact, the about us page can be considered as a company’s most emotional or at least personal page. It calls to and is used to reach out to a viewer. For law firms, emotion can be tricky. In fact, law firm emotion is most like financial advisor emotion, where any feeling or humanization is made up of a blend of care, love and business. At any rate, the sort of emotion that should go into law firm’s about us page is that of a person who has a legal issue that needs to be rectified as efficiently and as soon as possible. Keyword #1: Protection – As humans, we all have something to protect. Whether that’s our families, ourselves, our businesses or even our reputation. On a law firm’s about us page, it is reassuring for the firm to mention it has the same concerns about protection as do its new and existing clients. Keyword #2: Excellence – What sort of excellence does your law firm convey to its clients? Does your firm’s excellence stem from customer relations, dogged aggressiveness within the courtroom or during litigation, judgments and recoveries for the clients? Explain the excellence your law firm expects to deliver to keep client satisfaction at a high level. Keyword #3: Integrity – Is your law firm and your lawyers fair? Do they treat the client, even if the client is on the opposing side, with respect? And with that, is it likely that a client will recommend your services to another potential client based on your firm’s integrity? Think long and hard about this question, and be truthful as integrity is and will always remain an integral part of today’s legal landscape. Keyword #4: Respect – Respect goes hand-in-hand with integrity as you will need to demonstrate on your law firm’s about us page how respectful you are to not just your clientele, but the opposing side, the legal issue at hand, and most importantly, the court of law as well as law in general. Cite your law firm’s reputation to gain insight into the kind of respect you both give and feel you deserve within the legal world. Keyword #5: Compassion – Compassion is the ability to understand the emotional expenditure and seriousness of a client’s legal issue. To this end, something should be said about compassion and/or understanding of a client’s concerns, as well as the fact that a client’s case is never too small or insignificant for your law firm to consider. Remember, these are human beings your about us page is trying to attract. They have real-life issues that they will look to you for help with, and often those issues, particularly when they are legal-based issues, can arrive with great emotional impact such as dismay, sadness and anger, etc. This is why emotion is a perfect keyword to be added to your firm’s about us page. Keyword #6: Diversity – For the past two decades, diversity has become a huge topic within the legal world. Legal organizations have called for it, law schools are actively participating in the diversification of their students, and the newer generation of clients is demanding diversification of every institution with which they interact. Try to remember that diversity is deeply seated within the newest and all concurrent generations who may also need legal help. Keyword #7: Teamwork – Teamwork will never go out of style within the legal or business world. No one is their own island in these professions, and clients like to feel that their case and interest are more important than just the attention of only one lawyer. For clients to know they have an actual team working on their legal issues brings a sense of security to know more than one’s person’s opinion or thought is being employed to the importance of that client’s case. If possible, your about us page should tell a story as sweet as how Mercedes-Benz got its name. Intechnic, a digital marketing company, recently listed the 10 most compelling law-related websites currently found on the internet. The one thing in common that has been noted by these ten sites is that they all have compelling about us pages that tell a story about their firm. Without fail, an engaging story lies behind the emergence of every large business entity. Take for instance how Mercedes-Benz came to be Mercedes-Benz. In 1901 Austrian automotive entrepreneur and enthusiast Emil Jellinek, ordered a car from Carl Benz who at this time was associated with the industrialist and engine builder, Gottlieb Daimler. At the conclusion of the automobile transaction between Jellinek and Benz, Jellinek named the car after his 10-year-old daughter, Mercedes. At that point, the name "Mercedes" was registered by Daimler-Motoren-Gesellschaft (DMG), the parent company of Daimler-Benz worldwide as a protected trademark, which we know today for automotive excellence. Thus, an elegant story for an elegant machine: Who could ask for a better human-like story for a major multi-national transportation company? To that end, website about us pages should do more than just give a name, an area of practice, an address, business hours and a phone number. 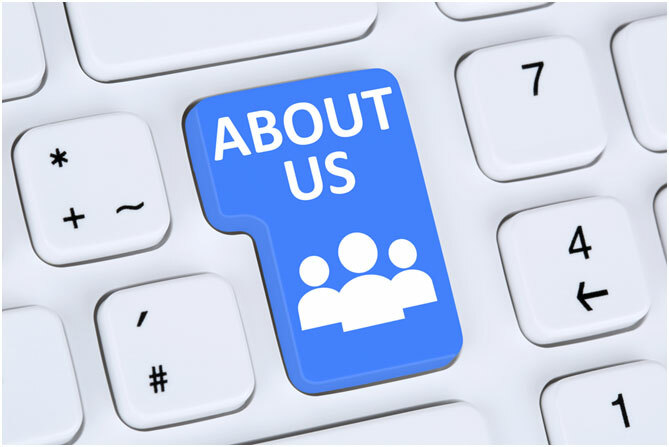 The importance of an about us page is to show a company’s importance in general. There should arrive an understanding of how the company can help the page viewer (you, me and anyone else interested in the company’s services), and how once that help is employed, the result between the client and company will evolve into a great business relationship for the ages. A compelling story as to how your law firm came to fruition. A category of practice areas in which your law firm specializes. A hint or tease of the type of legal issues a client might have if they are considering your firm. A simple and straightforward promise of how your law firm plans to rectify these client legal challenges. Of course, the more humanly relatable your about us page is, the less likely a prospective or existing client might feel that your relationship is mere business, when what is truly needed is a human-to-human rapport. Bring in the human aspect of your law firm and its lawyers. Mention with conviction your firm’s care for its clients and the issues within and beyond the scope of their legal case. Reveal the aspects that make your firm as human as the client. Much has been said about website content and analytics; that content needs to comply in this way and that with Google’s measurements and algorithms to have any internet value. Well, that’s fine and good, but in all honesty, what the hell do you care about Google rankings and keywords? As a compassionate and creative law firm, you should reach for more than just a vacuous ranking on Google. 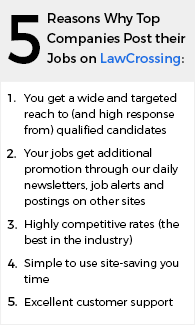 The human connection of your about us page as well as your other onsite content will be more than enough to push you through to the top of the rankings for who you really want to impress, which are clients. Arrange your content – not just your about us page – but each written page on your site so that it first appeals to humans, then at a distant second, algorithms. If you include too many of the keywords, phrases and other non-human suggestions Google makes, your work will sound robotic, and in the end, quickly become unappealing to new or potential clients. Write with the flow, connectivity and conviction of a writer – not a machine, and your “hits” and “shares” as a company will incrementally increase based on the value of something worth much more than a top spot on a search engine page. You will get clients, which is how law firms exist. A strong and memorable about us page is worth much more than many other pages on a company’s website, particularly a law firm’s website. The about us page seeks to humanize an entity through approachability and make it easy for a client to invest emotion (as well as money) into the company. It is old school marketing based on a modern tech platform, yet works as well today as it did in the pre-internet past. Law firms should take the time to revisit their about us pages. Managers need to ask if what is written in the about us page is true, relevant and will gain trust and ease from a client. If it does this while communicating directly with the client, there isn’t much more you or the law firm can do other than watch the clients roll in. Why? Because you wrote a good story about yourself from the get-go, and people like a good story, even when that story is about a law firm. Does Your Company Suffer from Brand Fatigue?